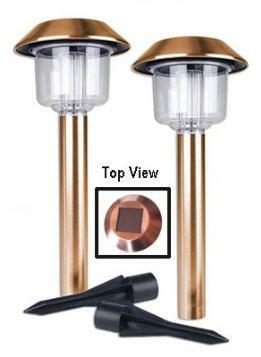 Light your pathway, garden or deck with these 2 energy efficient hut solar copper lighting set. 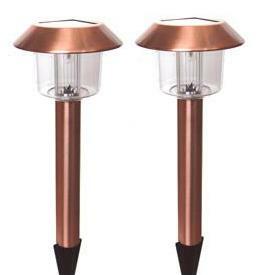 Elegant and simple our lamps ad style to any walkway, yard, or garden without having to figure out wiring. Requires no power source, the solar lights can be installed anywhere. Solar panel collects natural sun light and charges the internal rechargeable batteries during the day, as night falls these solar lights turn 'on' and shine your garden or walkway.